1. We were a very large group! 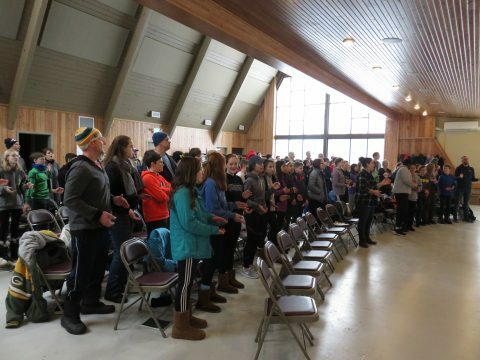 – With over 135 youth, sponsors, and volunteers from 13 different congregations and 3 states, Camp was a very happening place! 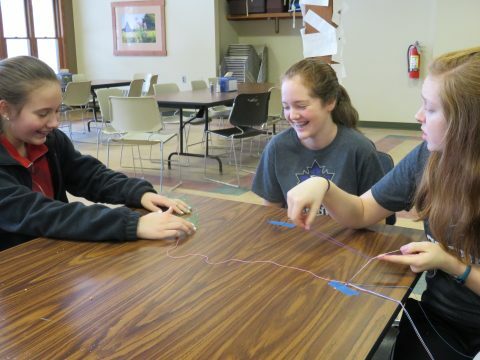 Overall, we hailed from the following churches: First Mennonite of Bluffton, 8th St, Assembly, Belmont, Berkey Avenue, College Mennonite, Columbus, Hively Avenue, Huntington, Kern Road, Maplewood, Milwaukee and Silverwood. 2. 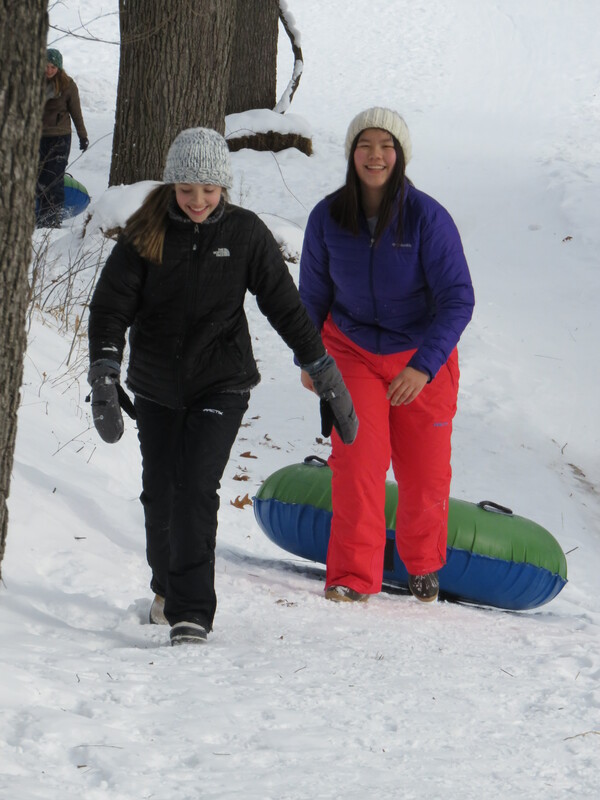 We made the most of the snow we had – After a week of unfortunate snowmelt, we got just the right amount of snow just days before the campers arrived. 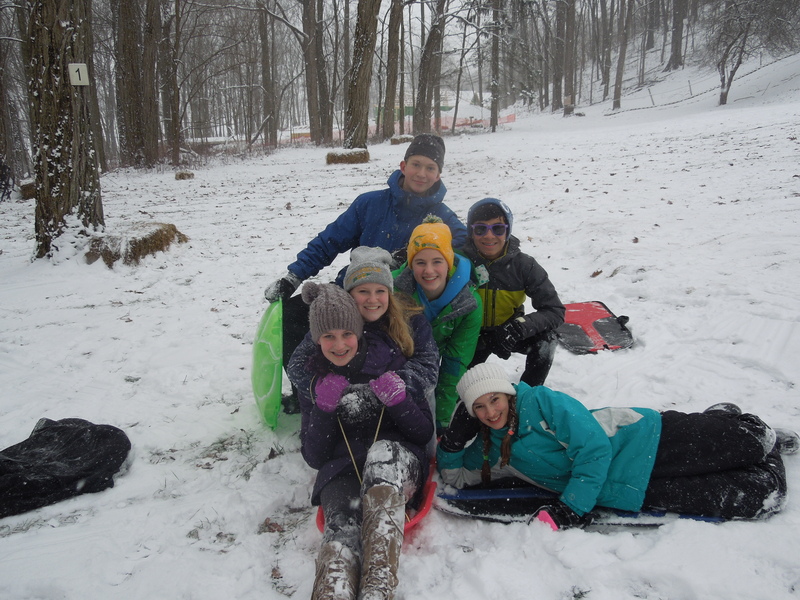 Instead of a muddy mess, we had enough snow for sledding and snowballs. 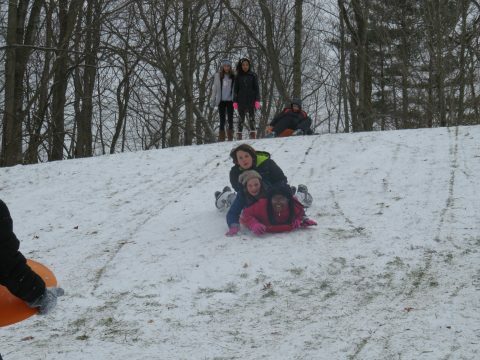 And finally on Saturday evening we had enough snow to open the Tube Run! After 60 degree weather last year, we were grateful for the winter wonderland. 3. 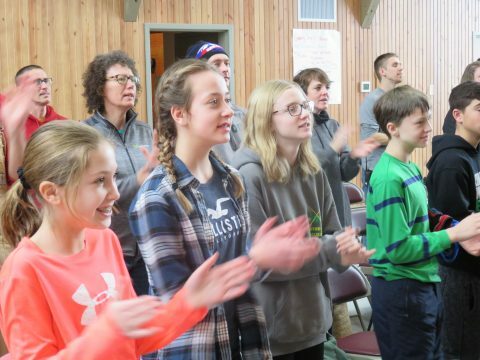 We sang, prayed, and learned about the Bible – Pastor Mark Rupp of Columbus Mennonite Church asked us “What is the Bible?” and we explored that question together, including our own role as interpreters. 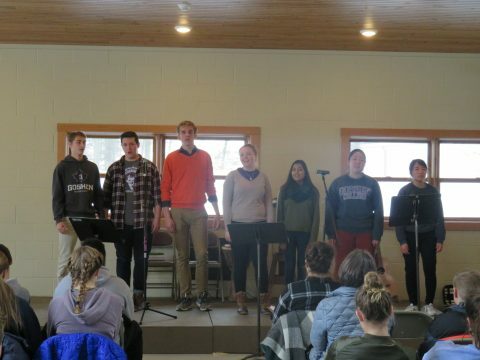 We also sang and worshipped with Goshen College’s Parables worship ensemble. Thanks for sharing! 4. 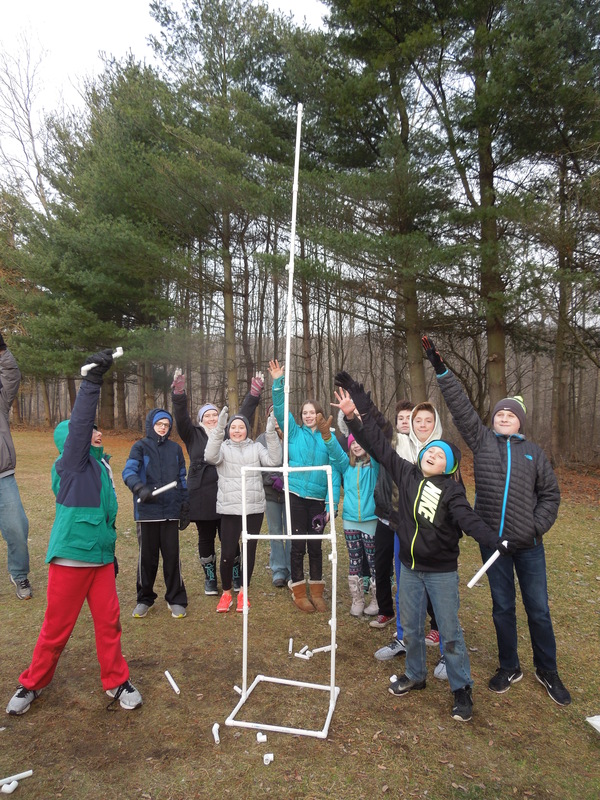 We stayed busy with fun activities – While we had many of the classic camp activities (Basketball, Nature Hike, etc. 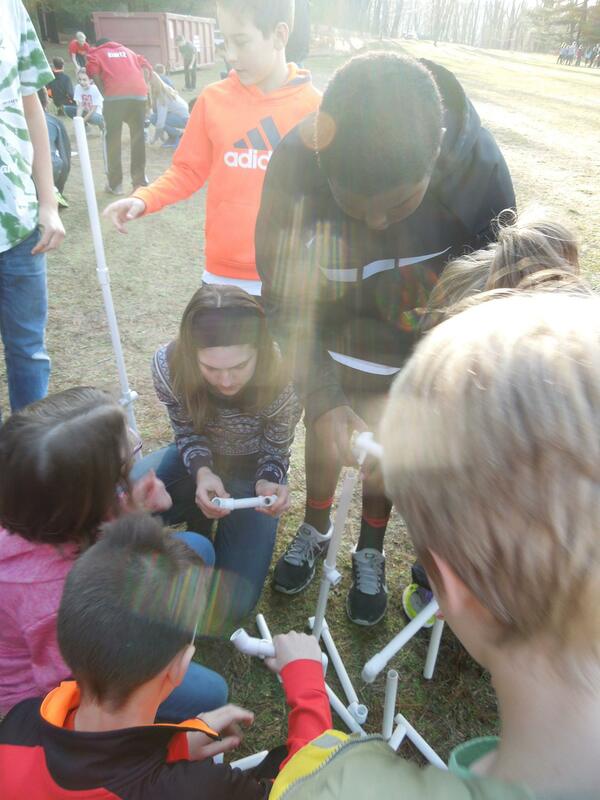 ), we also branched out with some very unusual group activities. 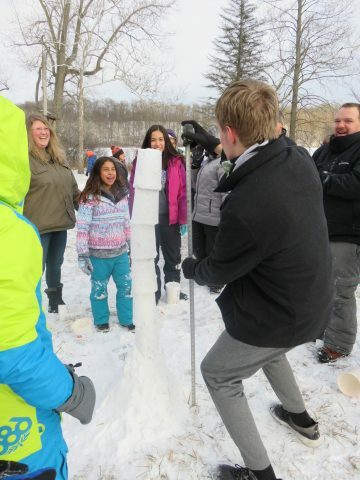 We painted labyrinths in the snow, played Giant Dutch Blitz and even stepped out of our comfort zone with Improv games. 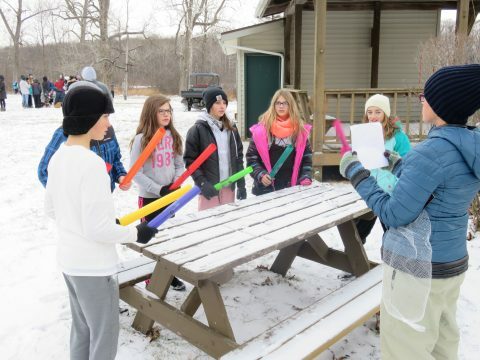 When it came time to compete in the annual Winter Olympics, we made music with “Boomwhackers,” and played Family Feud. What fun! 5. We made new friends (and kept the old) – Many campers came from smaller youth groups. For many there were only 4-6 people from the hometown or congregation. So we bonded with those we came with, while creating new friendships. Can’t wait to see you all again this summer! Thanks to all who made this weekend a success! 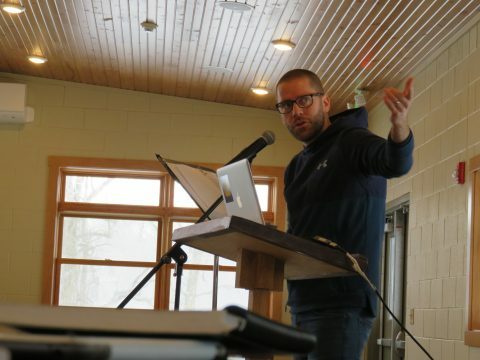 Hopefully we will see many of you at our Family Camp, February 16-18! There is still room available.